Screen Ireland has travelled to Series Mania International Festival in Lille, France, with a delegation of eighteen Irish production companies who participated in the Series Mania International Forum — the professional sidebar section of the festival which serves as a meeting place for series projects in development or in production. The national film body is also hosting a stand at the festival, promoting Ireland as a film location for major TV series. 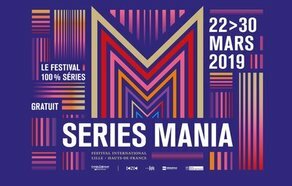 TorinoFilmLab has also renewed its partnership with Series Mania to present its third edition of SeriesLab, where nine selected projects will be presented in front of an audience of international TV executives during the Series Mania Forum. Two of the nine projects pitching at the Forum are Irish — ‘The Crossing Place ‘ from writer Gary Duggan and producer Laura McNicholas; and ‘Closed City’ from writer/producer Morgan Bushe. Additionally, Writer Audrey O Reilly is taking part in the UGC writers Campus pitching her project ‘Embrace The Base’, a 6 x 1 hour TV Series about the Greenham Common Activists and the largest all female peace movement since the Suffragettes. Created in Paris in 2010 by Laurence Herszberg, Series Mania International Festival brings to the large screen the best series in the world, thus offering its audience – some 55,700 spectators in 2018 — and more than 2,000 French and foreign professionals a unique opportunity, throughout the 9-day dynamic event, to meet in Lille the most renowned creators, screenwriters, directors and talents of yesterday, today and tomorrow’s serial universe. Series Mania runs from 22 – 30 March, with Series Mania Forum running from 25 – 27 March.